Find these amazing foods near you! 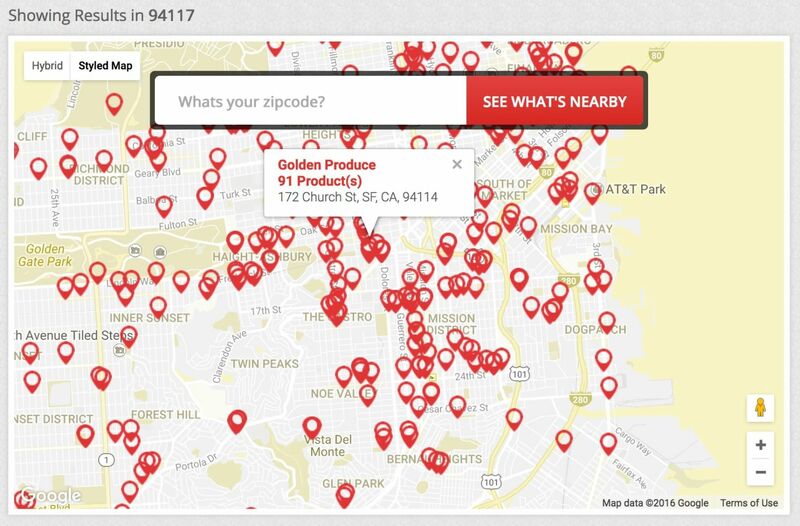 Thanks to mapping functionality and a database of 100,000 locations throughout the U.S.
Find Real Food was developed in partnership with the Weston A. Price Foundation, one of the pioneers in the real food movement. 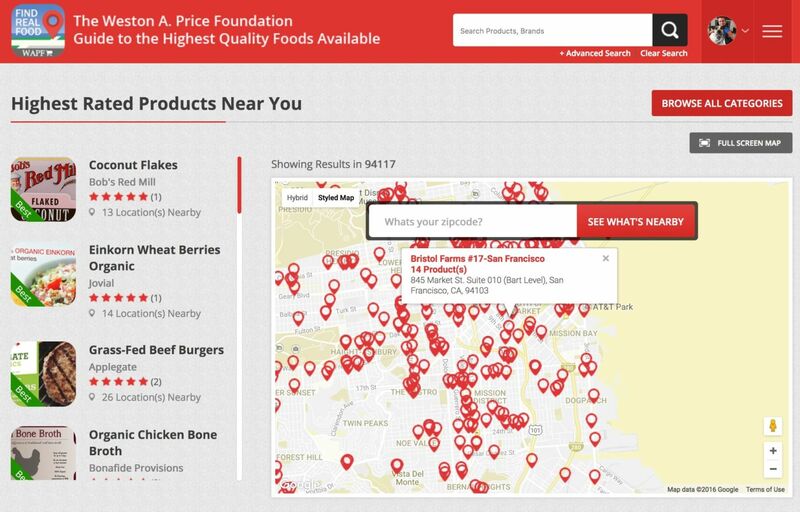 Find the highest quality foods near you! 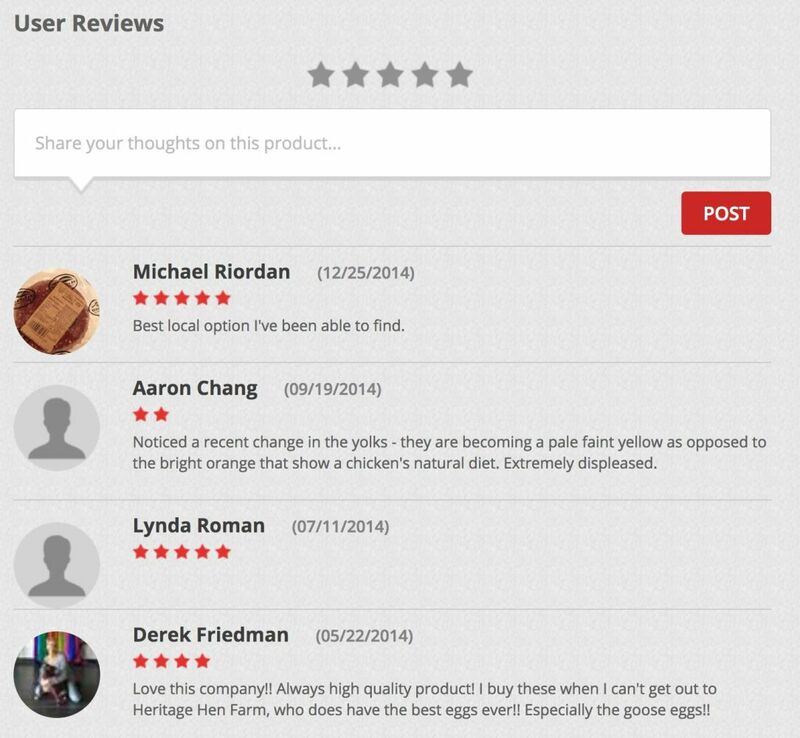 See ratings and reviews by other knowledgeable consumers. Discover new and amazing foods, and have them shipped to your doorstep! With one account, gain access from your computer, Apple or Android device. Access from web or smartphone with a single login! 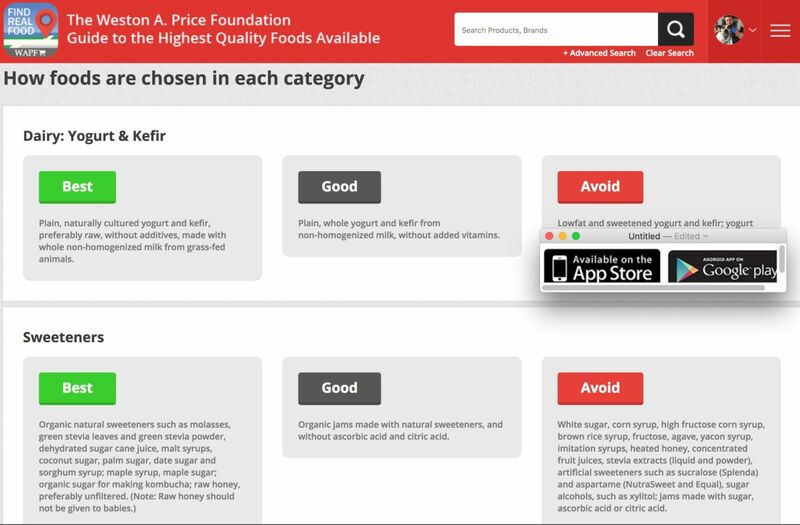 Find Real Food also includes helpful information on what to look for (and avoid) for different types of foods. Great educational tool for you and your family. So how much does it cost to gain access to this amazing, health promoting resouce? 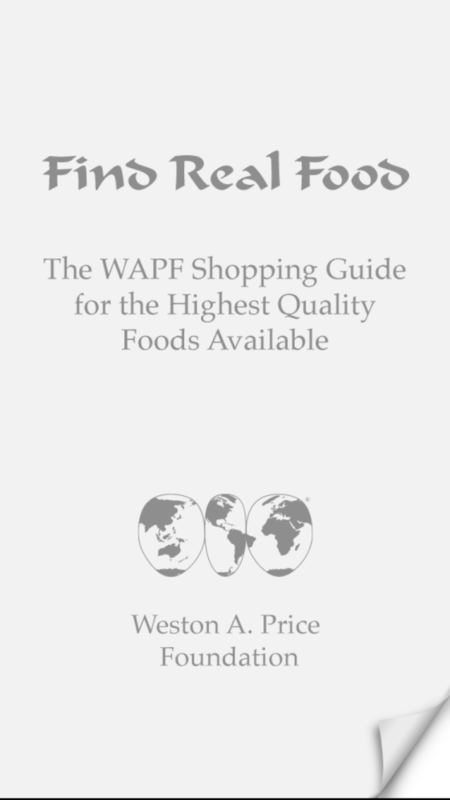 Benefit from 16+ years of real food research, and tens of thousands of expert hours screening food for maximum nutrition benefit, now available at your fingertips for only $4.99 per month. 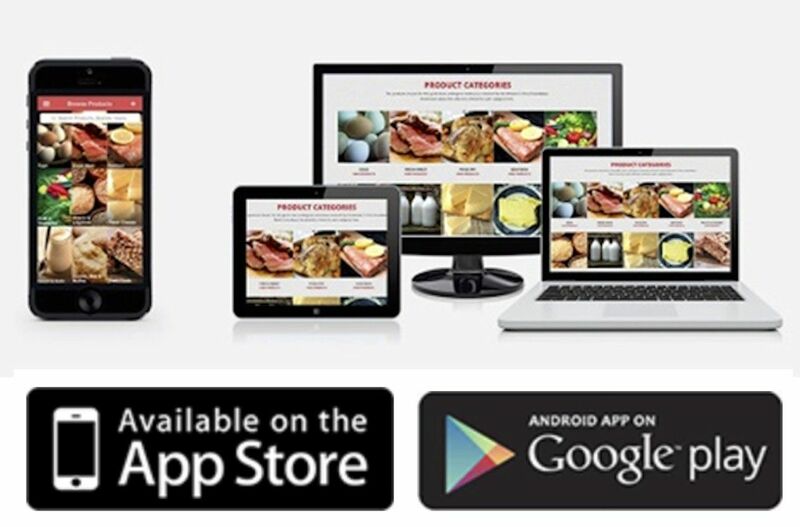 Gain instant access to 15,000 real food products from 1,200 brands, sold in 100,000 locations throughout the U.S. With user reviews and ratings, additional nutritional information, and access across all your devices, you will transform you and your family's healthy shopping experience! *Your subscription will renew automatically and can be cancelled at any time inside your user profile. 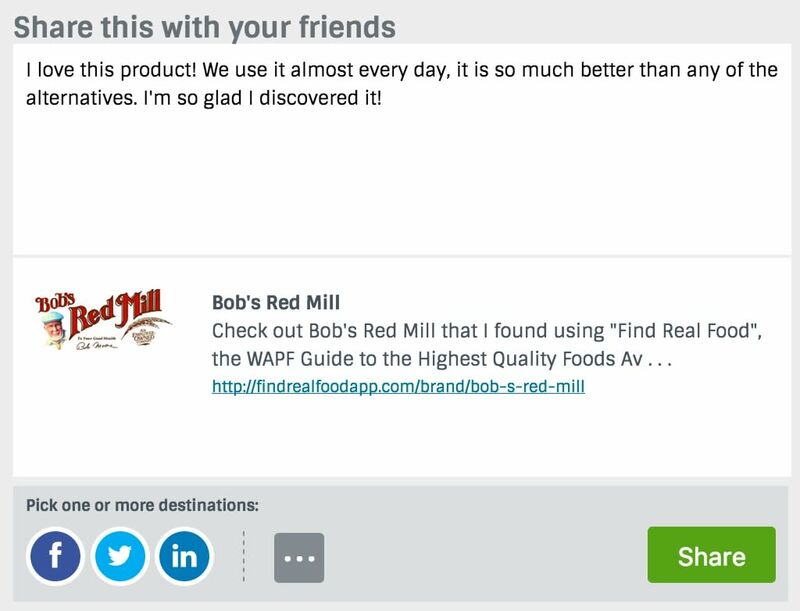 By purchasing a subscription, you agree to our terms and conditions and to receive email communications from Find Real Food App.